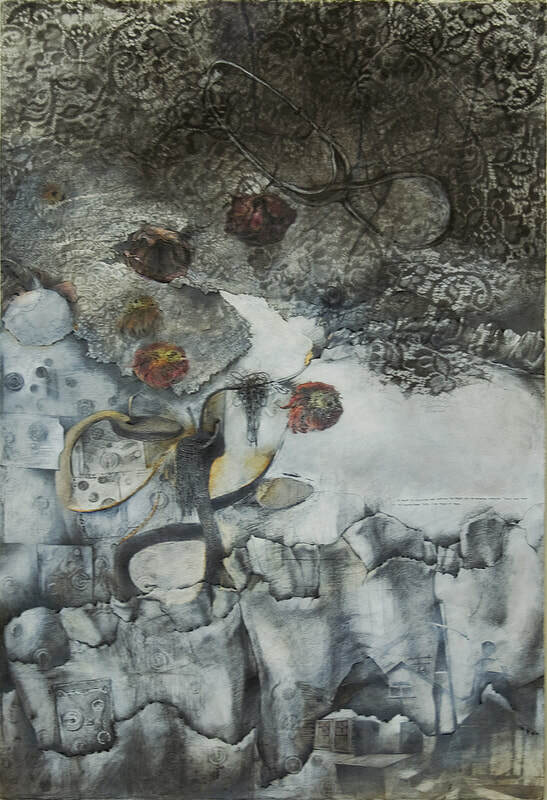 Xenia Fedorchenko received her Master of Fine Arts in printmaking from Southern Illinois University Edwardsville and her Bachelor of Fine Arts in painting from Lyme Academy College of Fine Arts. In addition to having taught figure drawing and intaglio classes at Southern Illinois University Edwardsville, Ms. Fedorchenko had been employed as a printer of intaglio and lithographic editions at Milestone Graphics, Conn. In teaching, Ms. Fedorchenko aims to balance formal training and commitment to a high level of craftsmanship with an environment that cultivates community, honesty, curiosity and willingness to push the challenge inherent to any piece. Instruction in her courses occurs through incremental skill-building exercises that lead to assignments based on content. Overall, Ms. Fedorchenko wishes her student to find the visual language that propels her or him to get excited, discover and articulate his or her knowledge. In her research, Ms. Fedorchenko is drawn to the human figure as a universally comprehensible symbol for our kind and to the baggage it contains. Her prints and drawings revolve around the idea of the real; striving to embody human experience for the viewer, while underscoring the inadequacy of two-dimensional mark and support to quantifying reality’s multitude of sensations. Ms. Fedorchenko is represented by Water Street Studio, Bridgeport, Conn. Her work is in the permanent collections of several museums as well as university, corporate and private collections throughout the country.